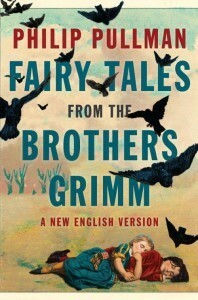 Wednesday 2 January: Philip Pullman talks about his version of Grimm's fairy tales at the National Theatre (6pm, £4 / £3). Friday 4 January: Highgate Poets launch their 26th volume of Urban Harvest with readings from Norbert Hirschhorn, Diana Bishop, Robert Peake and Annemarie Cooper at the Trinity United Reform Church in Camden (7pm, £5 / £4, all proceeds to Cold Weather Shelters). Saturday 5 January: There's poetry and general wassailing to mark Twelfth Night at Keats House (5pm, £6 / £5). Monday 7 January: Graham Fawcett is leading a close reading and discussion of Elizabeth Bishop's poem At The Fishhouses at the Rugby Tavern (6.30pm, £10). Tuesday 8 January: Storyteller Jan Blake tells tales of taboos at the Soho Theatre (8pm, £9 / £7). Anjali Joseph and Chibundu Onuzo are the guests of Tom Basden, Jarred McGinnis and Sam Taradash at The Special Relationship (7.30pm, £5). Poet Christine Webb and playwright Claire Booker are at the Gipsy Hill Tavern for Beyond Words (7.30pm, £4 / £3). Book ahead: Seamus Heaney, Simon Armitage and West End actors read from and talk about poetry at the Tricycle Theatre to raise money for English PEN (7pm, £35 / £50).